This is a list of do’s and don’ts we’ve assembled over the years from Student feedback, to create a Yoga Oasis: for the benefit of all students. Please take off your shoes before coming upstairs & place them on the shelves provided or in the cubbies in the changing room. Property is left as owners own risk. Please make sure they are not in the way of the fire-exit (front door) or placed in anyway that could be hazardous to other students. You may wear indoor sandals in the changing room/reception area. Socks can be worn if you have feet conditions. Please be mindful of your feet hygiene and do not come to the studio if you have anything contagious unless it is appropriately dressed. Have you read our informative Beginners Guide? We recommend and encourage you to lie or sit quietly prior to class. This enables a peaceful and focused environment for all practitioners. We do ask for complete silence in class 15 minutes before and after. During class, if you need to leave the studio, please ensure you do not walk in front of people whilst they are in posture. Please wait until the posture is finished. The same applies for when you come back in. Please do not adjust blinds, touch the windows or turn the fan on or off in the studio. Please refrain from putting anything or sitting on the blue heaters. The Teacher will arrange the room/temperature for the benefit of all. Please refrain from talking during class. If you need to speak to the Teacher, please raise your hand and they will respond accordingly. For your own safety, do not chew gum. Please refrain from wearing noisy jewellery. Please follow the instructions given by Teachers for all postures faithfully. If a Teacher gives you ongoing modifications please let the other Teachers know before class. The class is not over until after final Savasana. After class, please leave the room quietly and close the door behind you. Remember: our Teachers are in Reception for 15minutes after class if you have any questions. If you need to use tissues during class, please keep them on your towel and ensure you dispose of them properly afterwards. 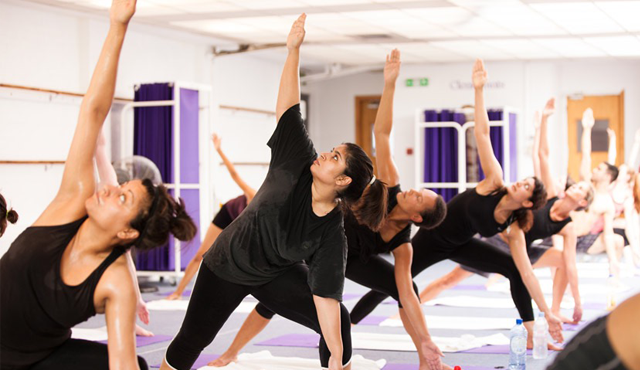 We recommend that if you are feeling unwell, you do not come to class and sweat it out. Please always be respectful of your fellow students and their belongings in the studio. If you encounter any problems please come and speak to the Manager. Be mindful of your fellow yogis and refrain from putting your mat directly in front of anyone. Everyone should be able to see themselves in the mirrors. Desk staff are entitled to be treated with respect and politeness, we reserve the right to take necessary action if we deem somebodys behaviour to be anti-social, rude or disrespectful. If you have any queries or concerns, please ask to speak to a manager. All other Classes: Students are required to be in the room for the start of class. This is for their own safety and to cause least disruption to the class. 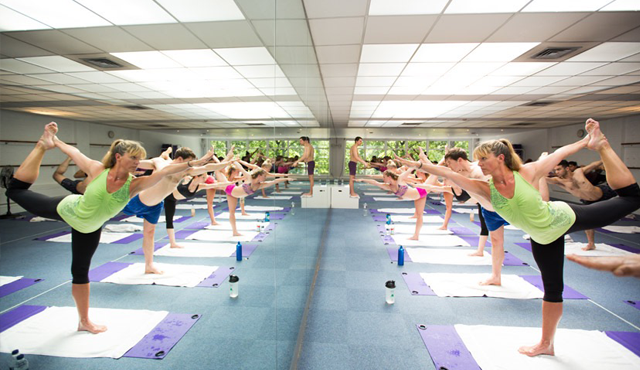 The Studio door will be opened 30 minutes prior to class starting, 15minutes before the 06:15am and 45 minutes before the 6:15pm & 8:15pm. We close promptly 30 minutes after class has finished. Mobile phones & all electronic devices. Please turn off all personal electrical devices on entering BYC hot yoga. No talking, texting, checking your emails, your voicemail or the internet anywhere in the studio. We are a mobile free zone, enjoy! Please do not allow watch alarms to go off during class and make sure you have turned off your phone alarm prior to entering the room. Our local Sainsbury’s store in Chiswick kindly allow our members to park for 3 hours (instead of the usual two), so they have time to practise and do their shopping. Shop in Sainsbury’s (MINIMUM £5 SPEND). We ask all practitioners to dress appropriately for class. For further advice ask at reception. We provide small lockers for your valuables, these take a returnable £1 (old). Valuables and possessions are left at the owners’ risk. We are unable to provide a free drinking water tap so we ensure the cost of our bottled water is kept as low as possible.